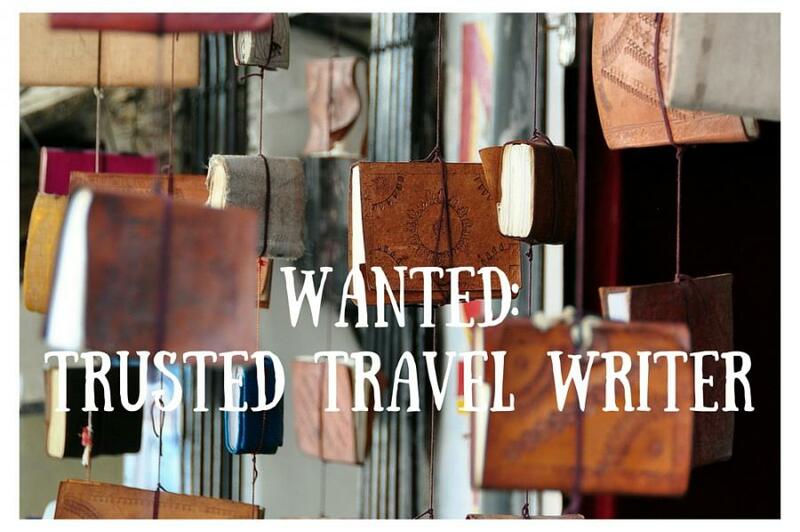 Budding travel writers, listen up! The very first Love Cottages Trusted Travel Writer competition is here. The next three weeks are all about tourism in Great Britain as each nation celebrates what is has to offer domestic and international tourists. And we’re on the hunt for an outstanding writer who loves this isle and all it’s got going for it. The winning Love Cottages Trusted Travel Writer will become a bylined contributor to the Love Cottages blog for a whole year giving the successful entrant a global platform to showcase their knowledge of UK travel as well as their love and expertise for writing. The competition opens Monday 29 February 2016 and will run for the duration of the three tourism weeks shown here. What we’re looking for in our Trusted Travel Writer and full competition terms and conditions are detailed below. We love Great Britain but what’s your story? You know we love Great Britain. But we want to know where you love going most in Great Britain and why. Tell us your story in 300 words (or more) to be entered into our travel writing competition. The best entries will be published (complete with byline) on the Love Cottages blog. And the winner will be made Love Cottages Trusted Travel Writer for 12 months. Title aside, the Trusted Travel Writer will have the opportunity to published 24 UK travel related, bylined articles published on an established online travel website (a.k.a. lovecottages.co.uk). Craft your favourite destination story into a minimum 300 words that tells us what you love about your chosen GB place and why. Now we’re all about love. So we want to see real love for your chosen place. So you might gush about what you most love visiting there, or the best undiscovered place that is spectacular and you don’t really want to share but probably should, your favourite pub/restaurant, the best place for a rainy afternoon with kids, favourite museum, etc. We’re looking for real experience of a destination and an inside-out kind of knowledge. We only cover the UK, so we only want to hear your stories from this green and pleasant land. Avoid writing about just one thing in a destination – people visit places to see, eat and explore, not just to drive in and drive out. Anything overtly promotional or promoting specific brand names will be excluded from the competition. We don’t want reviews of venues or attractions. Profane, slanderous or libellous language, or pseudonyms will result in automatic exclusion from the competition. It won’t work in your favour if your story is riddled with typos or erroneous apostrophes. All entries will be checked for grammar, spelling and syntax errors, and corrected as required before appearing on any Love Cottages channel. We won’t be able to acknowledge submissions. Please assume that in sending your entry to [email protected] that you have successfully entered the competition. We will announce the winner and any highly commended entries during April 2016. Winners will be notified via email, announced on the Love Cottages blog and Love Cottages social media channels. The winner will be required to supply a good quality resolution headshot photograph for marketing purposes. Where will competition entries appear? The best entries will be posted in the Trusted Travel Writers competition category on the Love Cottages blog. And the very best of entries will feature in Love Cottages social media posts across Facebook, Twitter, Instagram, Google+ and LinkedIn. Entries may also be used anywhere on the Love Cottages website or in any Love Cottages marketing collateral (online or offline). We reserve the right to post snippets of entries or entries in their entirety for the purposes of promoting the competition and the Love Cottages brand. One entry per person. Bulk, multiple or third party entries will be void. Entrants will retain copyright in their submitted entries, but in entering they licence Love Cottages Ltd (www.lovecottages.co.uk) a worldwide royalty-free perpetual licence to edit, publish and use each entry in any and all media (including print and online) for publicity and news purposes relating to the competition. Love Cottages is not obliged to publish any entries and publication of an entry does not mean that entrant has won a prize. Received entries meeting the above criteria (valid entries) will be reviewed by the Love Cottages Judging Panel with the winner and commended entries being announced in April. The judges’ decision is final and no correspondance will be entered into. Judging criteria includes: originality, writing to the remit, passion and flair in the writing, depth of destination knowledge, syntax and grammar, advocacy for UK domestic travel. Be required to submit 24 UK destination travel related blog posts over the next 12 months (May 2016 until APril 2017) at a rate of two per calendar month. Each post must be a minimum 500 and maximum 2,000 words. The competition rules stated herein that apply to the content of the competition entry will apply to each of the 24 blog posts to be provided by the winner. The winner will retain copyright in their submitted blog posts but in writing them for Love Cottages, licences Love Cottages Ltd (www.lovecottages.co.uk) a worldwide royalty-free perpetual licence to edit, publish and use each entry in any and all media (including print and online) for publicity and news purposes. Love Cottages is not obliged to publish any entries and reserves the right to withdraw the prize if the aforementioned conditions are not adhered to.